KUALA LUMPUR (April 4): Malaysia continues to lead the Global Islamic Economy Indicator for the fifth year in a row due to a robust Islamic economic ecosystem as the country enjoy a substantial lead in Islamic finance and halal food. Deputy Prime Minister Datuk Seri Dr Ahmad Zahid Hamidi said Malaysia reaffirmed its position as the leading global halal hub with an annual export value of RM43.39 billion for halal products last year. At the same time, Malaysia has attracted investments worth RM13.3 billion in HALMAS-certified halal parks — catering for the production of halal products with the highest quality, integrity and safety — under Halal Industry Development Corp (HDC). “This is a very significant achievement by our industry players. The government recognises the potential of the halal industry and Islamic finance, both pillars are for the development of Islamic economy. “To date, a total of 28,000 jobs were created. These contributed about 7.5% to our nation’s GDP (gross domestic product) for last year,” he said at the opening ceremony of the World Halal Week 2018 (WHW 2018) today. Zahid said with the world’s Muslim population of 1.8 billion continuing to grow, the opportunities of Islamic economy are certainly vast. “Inshaa Allah (God willing), by 2030 the Muslim population is estimated to make up 27% of the global population. This can only be achieved if there is an increasing demand for halal alternatives in various sectors. “Certification alone, for example, is not enough. Factors such as quality, pricing, brand positioning and logistics must not be disregarded,” he added. 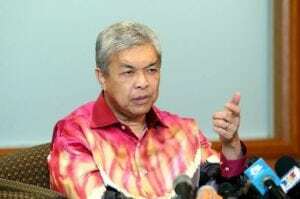 Quoting Thomson Reuters’ State of the Global Islamic Economy 2017 to 2018 report, Zahid said the Islamic economy is defined as consisting of halal food, Islamic finance, halal travel, modest fashion, halal media and recreation, and halal pharmaceuticals and cosmetics, and it is projected to reach US$3 trillion by 2021. Further, Minister in the Prime Minister’s Department Datuk Abdul Rahman Dahlan said Malaysia’s halal product exports are expected to grow by 5% year-on-year to RM45 billion this year from RM43.39 billion. Meanwhile, HDC chief executive officer Datuk Seri Jamil Bidin said halal is a big business in the global market. Currently, the global halal market is valued at US$2.3 trillion covering both food and non-food sectors. Jamil said companies must evolve to incorporate new technologies to develop their business, reduce cost, achieve higher revenue and increase productivity. 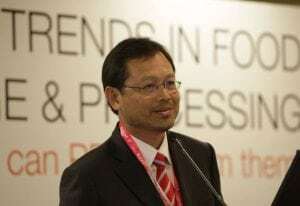 “Industry players of halal products cannot alienate themselves from what is rapidly happening around us, they must adapt to the technology because it applies to everyone now and we (HDC) will nurture and develop these companies to be ready for the global revolution. “It is no longer a question of whether we are ready or not, we have no choice but to be ready,” he said. The 10th WHW 2018 is organised and led by HDC — an agency under Prime Minister’s Department of Malaysia in collaboration with the Department of Islamic Development Malaysia (JAKIM). Themed “Building for the Future”, the event is aimed at transforming the dynamics of halal-related events around the world.